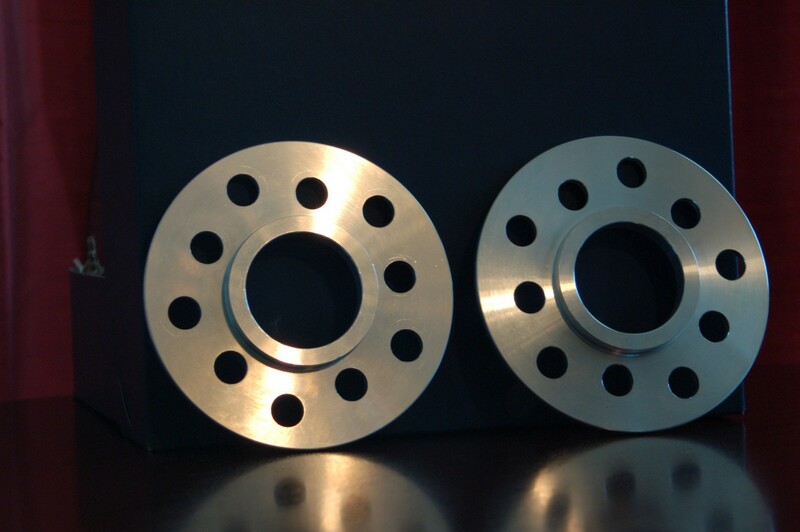 17×9.5 +38mm and 18×10 +38mm are the two most common that require the 5mm spacer to clear STi Brembo Brakes. Penguin Garage can also supply you with RPF1s, ARP wheel studs and lug nuts to complete the combo. Penguin Garage is also accepting custom orders for Motorsport-Tech spacers including the Clap Consulting Spec NT03+M spacers. Is it bad I want to buy these 5mm spacers simply to have an excuse to buy a set of 18×10 RPF1s? LOL. Previous PostVolk Racing CE28 RT Info and Pics Released! | Japan Wheel WednesdayNext PostTim’s AutoX Monster. Yes it needs that wing, yes it will devour your soul. Hey there! I have some NT03+M’s in 18×9.5 +40 (5×100) on my 2012 WRX. Problem is I just installed a StopTech ST40 328 mm brake kit and the wheels only clear at the spokes by about 1.5 mm. Too close for my comfort. Is there any update on the NT03 wheel spacers you mentioned above? I like the idea of having the spacers themselves also act as the hub centric adapter (I think the NT03+M has the same bore as the RPF1, but I’m not certain). I only need 2–3 mm of spacer. Any more than that and I’ll have to do fender work to the front (running a 265 profile tire), which I’m not keen to do. Any news on the spacers you mentioned above would be appreciated! Thank you for all the info!